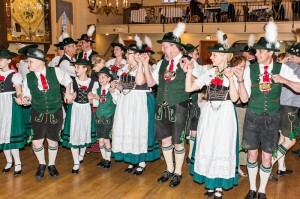 Schuhplattling is all about tanzen und springen — in English, dancing and leaping! Our male dancers jump into the air and slap their legs to show their athleticism. Meanwhile, our female dancers spin until their skirts blossom out into beautiful bells. 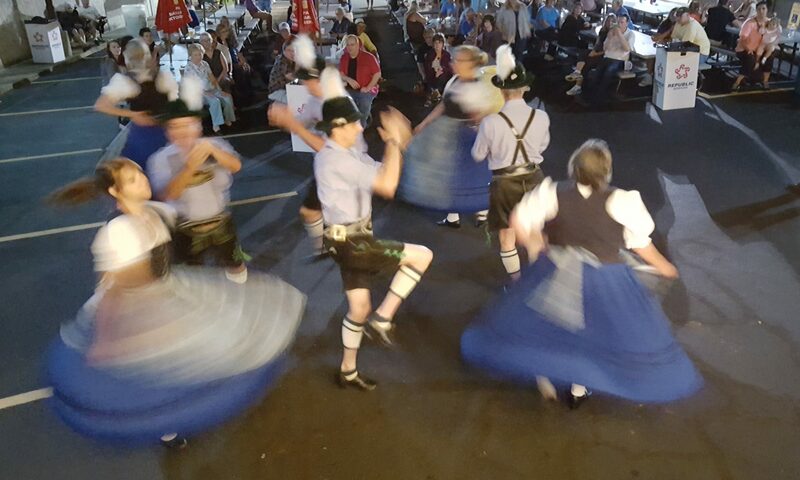 Watch this in action at the Alpen Schuhplattlers’ upcoming performances! Our Lady of the Angels Oktoberfest. September 30, 2017 @ 7:00 pm. 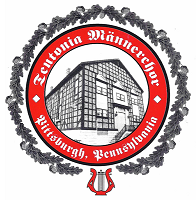 Teamster Hall (Lawrenceville), 4701 Butler St., Pgh., Pa 15201. 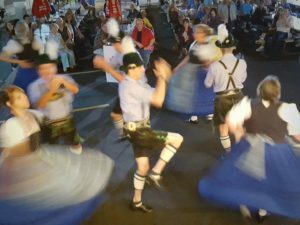 Most Holy Name Oktoberfest. October 14, 2017 @ 7:30 pm. 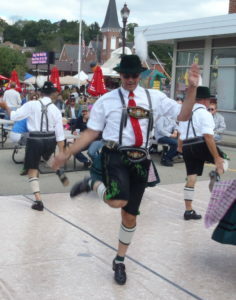 Most Holy Name Parish Hall (Troy Hill), Pittsburgh, PA.
Oktoberfest season is in full swing! 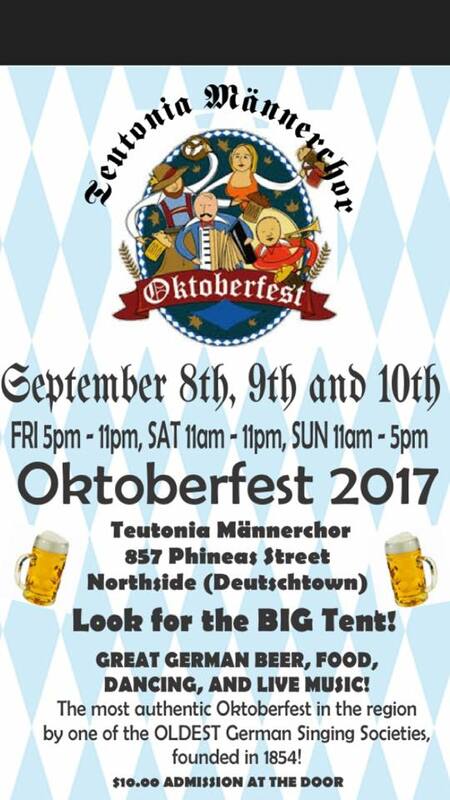 Are you ready for Oktoberfest? We are! 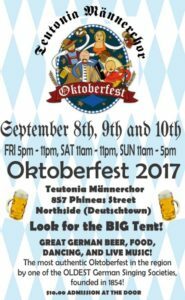 Come to the Teutonia Männerchor’s Public Oktoberfest on September 8th, 9th, and 10th. 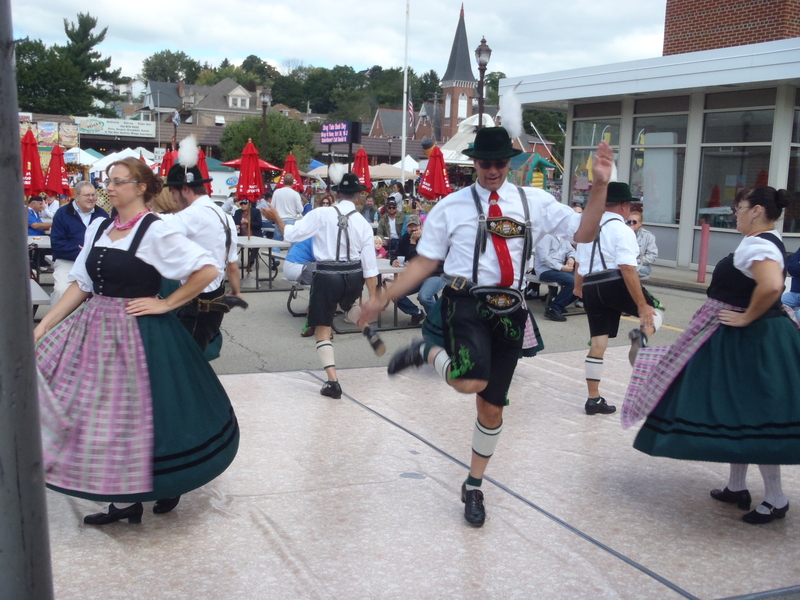 The Alpen Schuhplattlers are dancing in the Fest Tent at 8PM on Friday, Sept. 8th and 3PM and 8PM on Saturday, Sept. 9th. Don’t forget to stop by our food booth for delicious potato pancakes!